Thank you to everyone who participated in the Girl Scout Cookie Championship! One lucky winner will be contacted via Twitter direct message with directions on how to collect your prize of a year’s supply of the Girl Scout cookie you crave! 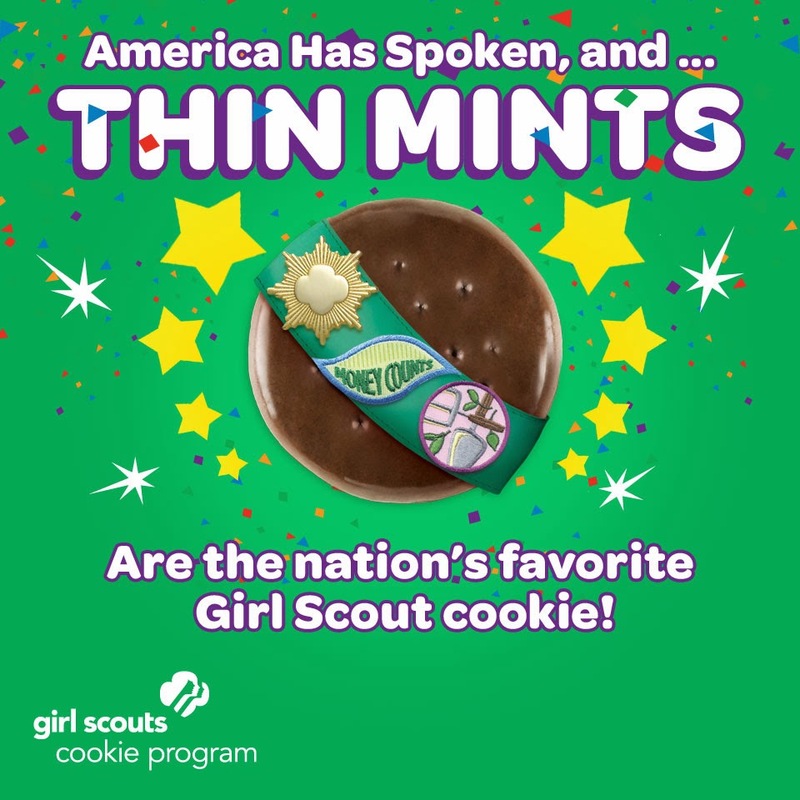 A huge Girl Scout CONGRATS to Thin Mints! It was a close race, but you’ve won the hearts of millions!